According to the GIPS standards website, over 1,400 firms claimed to be GIPS compliant in 2016. In reality, the number of firms that have invested in building GIPS compliance may be even higher, with some of them (i.e. private family offices) choosing not to publicize that fact. For many firms, GIPS compliance is a mark of their dedication to objective performance measurement, but the “Best Practice” badge does not come easy. In addition to the initial effort of defining composites and setting up systems around compliant reporting, GIPS compliance requires continuous upkeep. From tracking changes in restrictions to applying account minimums, we see firms struggling with composites. Overworked CFAs spend hours sorting Excel worksheets. Professionals work hard to avoid mistakes, but the manual process and time pressure increase the odds of errors occurring. GIPS guidance includes a lot of flexibility when it comes to defining composites. From discretion to minimum asset levels and composite definition criteria, firms have the luxury of tailoring the principles and hierarchy to their needs. All of this sounds fantastic, in theory. In reality, GIPS compliance work can quickly balloon into hours of effort checking thresholds, portfolio styles and strategies, treatment of taxes and included instruments. We have documented a number of common mistakes that should be avoided when defining composites. One issue that many firms stumble over is trying to define the appropriate set of composites to accurately reflect the investment strategies employed by the firm. It is not uncommon to see asset managers use flexible strategies that are customized for each client depending upon their objectives and risk tolerance. Firms that attempt a one-to-one match between discrete strategies and composites can invest a lot of time to create something that will ultimately prove to be unusable. When composites are defined too narrowly, any amount of drift will make it difficult to classify portfolios consistently (i.e. determine which portfolios fit into each composite). The risk and return profiles of composites become muddled, which is a tell-tale sign of composites that are too granular to be practical. One of our clients that managed 25 strategies spent months building composite definitions just to run into the problem of too many closely related composites. In the end, the team had to scrap them all and go back to the drawing board to develop better definitions. The lesson learned is that while GIPS rules are very flexible, most firms don’t have sufficient in-house expertise to implement them efficiently. Can Technology Help With GIPS Compliance? Most portfolio accounting systems include a composite reporting module, but many firms find that these built-in tools are insufficient for their needs. Their next step is often to employ Excel and homegrown databases. Unfortunately, both of those paths are prone to error and difficult to audit. 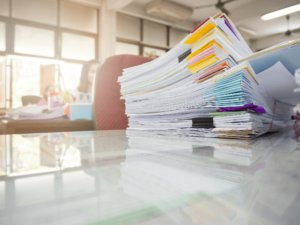 Large firms with hundreds of clients and thousands of portfolios are discovering that the only way to manage the compliance workload and assure accuracy is by turning to automated solutions. For years, we at Accusource have had a tough time recommending a tool for composite tracking and reporting, as we have found many of the software packages on the market to be cumbersome and expensive. With some of the more complex clients, we have offered to bridge the gap with our reporting expertise and Excel prowess. However, this was clearly just a temporary fix – not a scalable or sustainable solution in the long run. Fortunately, during the recent year our clients have had a good experience with CompositeBuilder, an application built by John Norwood Consulting. CompositeBuilder is tightly integrated with Advent AXYS, Advent APX and Schwab PortfolioCenter. Its customizable rules-based logic means that our clients don’t have to manually check account minimums or any other composite guidelines, which is a considerable upgrade. We have been pleased with the tool’s ease of use, flexibility and efficiency. GIPS compliance is an ongoing investment of time and effort. Beyond the initial setup phase, there are monthly and quarterly tasks to complete, including calculating portfolio returns, updating composites and maintaining a full audit history of changes and decisions. Firms must also maintain policies and procedures related to GIPS and establish monitoring to ensure that prospect and client presentations use the latest compliant information. Many professionals do not realize that GIPS compliance is not just guided by the GIPS Standards Handbook (a weighty volume that’s 458 pages long). They must understand the entirety of the GIPS guidance, from the constantly growing Q&A to situation-specific guidance statements on applications. That amounts to thousands of pages to digest and apply! It is no wonder that GIPS compliance is a full-time job. Whether firms use built-in composite reporting modules or Excel, it is not uncommon to see the burden of GIPS review and oversight resting on a single person. This raises an operation risk issue since the firm would be unable to process composites if that individual were to become unavailable (whether due to sickness, disability or change of jobs). The inherent technical complexity of GIPS often forces this task onto a senior financial specialist whose time is valuable. Some of our clients are realizing that the assigned person’s time is better spent on other pursuits. As a result, they are choosing to either outsource GIPS compliance altogether, or to give their financial specialist a tool that can automate the tedious and time-consuming aspects of monitoring and reporting. Firms that are looking for some help with managing their GIPS compliance may find it useful to look at their search for solution in terms of three components. The right software package should combine flexibility, efficiency and reasonable pricing. It should also provide you with analytics and insights into trends that you don’t currently get through your investment accounting and reporting software. The right consultant to help you make the best policy decisions and structure your GIPS-related workflows in a way that minimizes complexity. With a software package like the CompositeBuilder, some firms have had success running the program on their own. However, an independent consultant can help you avoid setup mistakes and assist with developing procedures built for accuracy and ease of ongoing maintenance. The right verification firm to review the work and ensure you applied the standards correctly. It is important to know that your GIPS verification firm should not be doing any of the setup work for you in order to avoid an appearance of a conflict of interests. What Could Go Wrong In Composite Reporting? Firms must understand the “what-could-go-wrong” scenarios in GIPS and composite reporting. For those who wish to automate the ongoing effort, a tool like CompositeBuilder may be a good option. Firms can purchase the software directly from John Norwood Consulting and set it up for internal use. Alternatively, they can outsource running CompositeBuilder to Accusource and reap the benefits of reducing risk, saving time and being able to focus on proactive client work. This path ensures that the burden of the workload rests with a professional team, not any one person, thereby minimizing the risk exposure. Accusource works with a long list of GIPS verification firms and is experienced at accommodating unique workflows and processes. We are not a verification firm, so there is no conflict of interests. If you would like more information about making GIPS verification easier on your firm, reach out to our team at Accusource.